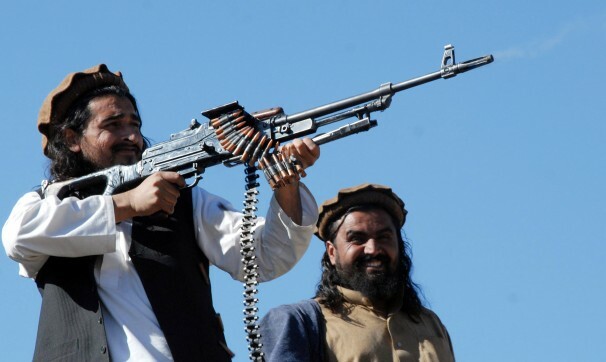 As leader of Tehreek-e-Taliban Pakistan (TTP), Hakimullah Mehsud was many things. He was the master mind behind killings of countless innocent Pakistani men, women, and children. He also schemed and carried out attacks on Pakistani military, killing soldiers and draining national security resources. He was a self-declared mujahideen, but one who was off message. Instead of only fighting against the Americans, he had turned on Pakistan also. This created a problem for those elements who are sympathetic to the jihadi cause, and Mehsud and his TTP were quickly branded as RAW-CIA sponsored terrorists, the ‘bad Taliban’ that was completely independent of the ‘good Taliban’ fighting against America in Afghanistan or India in Kashmir. Despite requiring a suspension of disbelief bordering on self-deception, this idea has stuck fairly well due largely to being repeated often enough in the media and by those considered authorities on such matters. In his death in a drone strike this week, however, Hakimullah Mehsud left a final gift to jihadi sympathisers in Pakistan – further proof that the line between ‘Good’ and ‘Bad’ Taliban is nothing but an illusion. Even though the Afghan Taliban and TTP operate autonomously and with separate command structures, there has always been plenty of evidence disproving the lie that the Afghan Taliban is ideological organization and TTP is a vehicle for a RAW-CIA sponsored anti-Pakistan proxy war. If any more was needed, though, it was given openly by the Afghan Taliban on Saturday when they condemned Hakimullah Mehsud’s death as ‘a big loss’. “The Islamic Emirate of Afghanistan strongly condemns this terror act by America and describes the martyrdom of Mullah Hakimullah Mehsud as a big loss,” the Taliban said in a statement, using the group’s formal name. Militancy and religious extremism is like the deadly polio virus that knows no borders and can only be controlled by wiping it out completely. There is no ‘Good polio’ and ‘Bad polio’. Jihadi sympathisers, whether cynically using the Taliban as proxy agents against India and the West or ‘true believers’ themselves, have caused an outbreak of the jihadi virus in our own home. It’s time to stop deceiving ourselves that we are immune and to stop the disease the source. This entry was posted in Blogs and tagged afghanistan, Hakimullah Mehsud, taliban, TTP by Omar Derawal. Bookmark the permalink.